Item No. 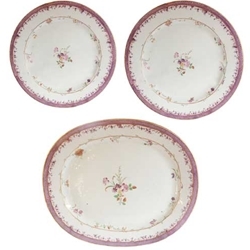 586 Series of three Chinese Export Chargers with a narrow register surround of cross hatched purple glaze with inner purple flower border. Excellent condition.